There are several versions of pulled pork for the slow cooker, and this recipe will not disappoint. 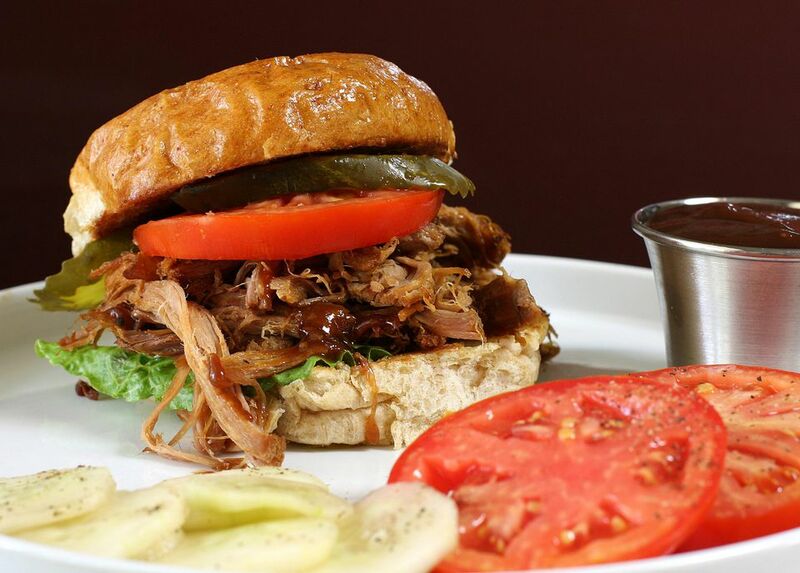 The pork shoulder is slow cooked to perfection, shredded or chopped, and then a little vinegar and barbecue sauce are added, making a tender and delicious sandwich filling. Serve the pulled pork sandwiches with coleslaw—great as a dressing for the sandwich or on the side—and baked beans, along with sliced dill pickles and other favorite salads. Place pork roast in the slow cooker insert; add chopped onion, salt and pepper and a generous sprinkling of garlic powder. Cover and cook on low for about 9 to 11 hours, or until very tender and shreddable. Drain all juices off and shred or chop pork; add vinegar and barbecue sauce (and liquid smoke, if using). Continue cooking on high for about 1 hour. Serve with buns and tangy coleslaw for topping. The recipe makes about 8 to 10 generous servings. Serve pulled pork with soft toasted buns or bulkie rolls along with coleslaw (for topping or on the side), dill pickle slices, baked beans, and your favorite side salads. Potato salad is great with a pulled pork meal. French fries or sweet potato fries would be excellent as well. For a tailgating event or special gathering, serve the shredded pulled pork hot from the slow cooker for sliders or large sandwiches.